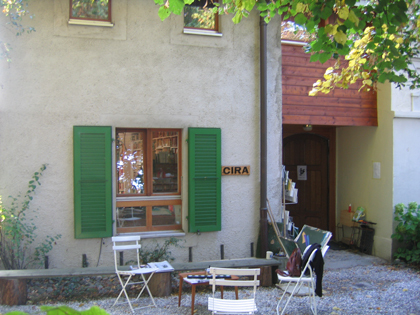 The International Research Centre on Anarchism (CIRA) in Lausanne collects and provides a multitude of documents on the anarchist movement, history and ideas in all languages. Founded in Geneva in 1957, the CIRA keeps today a collection of roughly 20'000 books and leaflets, 4000 periodical titles of which almost a hundred are still active. One can also find personal or group archival holdings, documentary files and video or audio recordings, as well as posters, photos, flyers and other ephemeral publications. For more details, go to our ressources page. This library holding, unique in Europe by its size, began half a century ago with the help of donations from militants, editors and anarchist groups. The CIRA doesn't have any budget for new procurements to extend its collection and is run by volunteers. Public activities are often organised (see News). For more information, a presentation leaflet in PDF format, describes the activities of the CIRA (print it both sides, short binding on the sides, and fold it to obtain a leaflet).